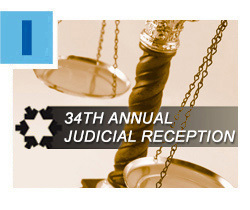 Join the Greater Miami Jewish Federation Attorneys’ Division at the 33rd Annual Judicial Reception on Thursday, March 9, at 5:30 p.m. at Jungle Island. Robert C. Gilbert and Michael D. Joblove are Co-Chairs of the popular networking event, which will also honor two outstanding members of the legal community. Marcia K. Cypen, Esq. will receive the Community Service Award and the Honorable Stanley Marcus will receive the Honorable Theodore “Ted” Klein Lifetime Achievement Award. For details and to RSVP, click here, or contact Emily R. Stone, Esq. at estone@gmjf.org or 786.866.8414. 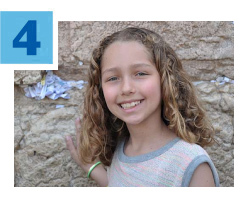 Your donations to the Annual Federation/UJA Campaign help provide a Jewish day school experience to underprivileged children around the world. 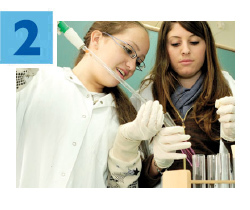 Through World ORT, a Federation overseas partner, more than 300,000 students in 37 countries are trained in skills from farming to crafts, trades and, most recently, STEM (science, technology, engineering, mathematics) education. Schools are in Israel, the former Soviet Union, Latin America and Europe and welcome families with any and all levels of Jewish observance. Calling all young adults! Do you know what you’re doing this summer? 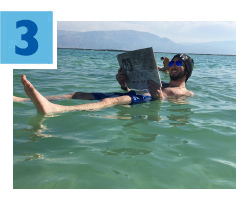 How about a free trip to Israel with Taglit-Birthright Israel and Israel Outdoors? 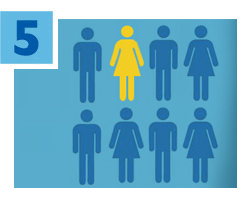 Registration for all Birthright trips is now open. Funded annually by Federation, Birthright brings young Jews closer to their history, identity and Israel. Young adults, ages 22-26, can join a special trip from June 14 to 25 specifically designed for Miami-Dade residents. For more information, click here or contact Nicole Erdfrocht at nerdfrocht@gmjf.org or 786.866.8448. Miami’s Ellie Esquenazi, 10, was selected by the Harold Grinspoon Foundation for the national PJ Our Way Design Team! Ellie creates book reviews, videos, polls, quizzes and blogs for PJ Library and participates in monthly online workshops and author interviews. Join PJ Our Way at the Books & Relay Races event at the Michael-Ann Russell JCC on Sunday, February 19. PJ Library is a gift from the Greater Miami Jewish Federation made possible by the Harold Grinspoon Foundation and the Blank Family Foundation. Did you know one in eight people in Miami’s Jewish community depends on Federation and our local partners for some form of financial assistance? Your donation to the Annual Greater Miami Jewish Federation/UJA Campaign helps fund more than 100 agencies and programs in Miami, Israel and around the world. Click here to make a donation and here to read more.